An all-in-one computer enables people easy access to government and community services. Robots and all-in-one computers which enable Changning residents easy access to government and community services have been installed at some local community service centers or neighborhood committee offices. The terminals are part of the new Changning smart service platform. People in Changning can apply for public services through the terminals which provide interactive consulting services based on intelligent voice technology. The online platform has integrated guidelines for hundreds of administrative approval and public service matters into its database and will provide access to the portal of the Changning government online service by the end of the year. A Changning resident touches the screen of a terminal which provides interactive consulting service based on intelligent voice technology. Information can be printed out through the terminals. A mobile app offering the services will be introduced next year. 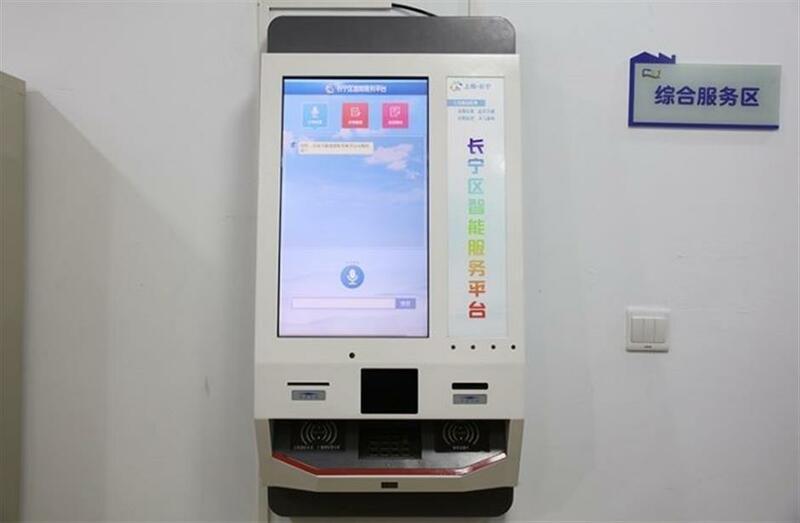 The smart terminals are able to answer residents’ demands, explain government policy and deal with general matters online, making the lives and work of office workers and young people easier in Changning. They are part of Changning’s efforts to integrate the resources of government services and provide them to locals at doorsteps. In line with Shanghai 2040 Master Plan, all community public service facilities will be accessible in 15 minutes’ walk by 2040. The terminals will help that.